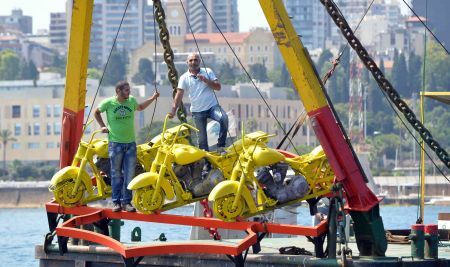 Home › Latest News › Harley-Davidson® Lebanon in the Sea. Harley-Davidson® Lebanon in the Sea. June 13, 2015 - A big group of Harley-Davidson® owners and other Lebanese men, women, and children gathered at the busy Beirut Corniche to witness the Submerge of a Harley-Davidson® diving sight deep into a diving location on the Lebanon Shore facing the American University beach. Harley-Davidson® Flags were mounted on boats roaming the shore, and parachuting the skies, while an industrial floating crane was tugged carrying an orange metal structure with motorcycles lined up on top, and escorted by a Lebanese coast guard pursuit boat. Certainly not a familiar sight to the average beirut-ies, but the Harley® vibe was there to comfort their skepticism, as they are used to seeing the group involved in social and ecological activities around the city. “Shall we leave a trace behind? Or pass unnoticed? At Harley-Davidson® Lebanon we choose to keep our heads up and keep doing what we do best. Assuming civil responsibilities at all times, and today it's us paying what we owe to our reef”. 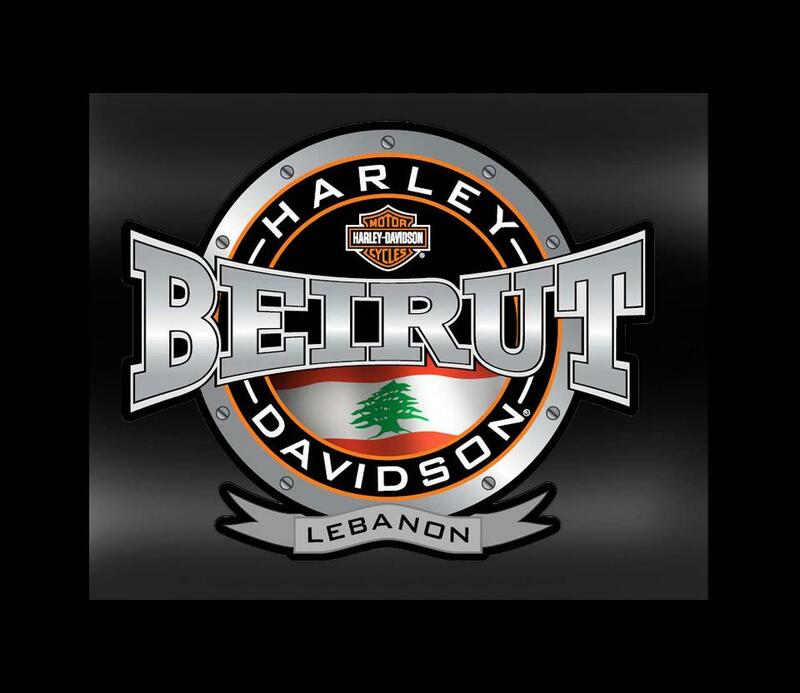 Said Marwan Tarraf, Owner and Manging Director of Harley-Davidson® Beirut, and Harley-Davidson® Cedarwoods. This is a one-of-a-kind operation to create an artificial reef and an attraction to all divers. It took the team who worked on the project quite some time to obtain the necessary permits from local and marine authorities, and then the dealer donated the bikes and sponsored the construction of the 4 ton steel structure. A eight meter by seven meter Harley-Davidson® bar and Shield logo served as a base to mount three Harley-Davidson® Road King® motorcycles, stripped of all non-degradable material, so the whole project remains eco-friendly. A team of 23 divers most of whom are H.O.G.® members helped placing the structure at 34meters deep into a diving location meters near the famous underwater AUB wall and what is locally known as “The Sharks Hole”. The sight will be marked at Google maps as an official diving spot, and will also be recognized as an international diving sight by the IDSA.